Gamora is a fictional Character appearing in comic books published by Marvel Comics. Created by Jim Starlin, the character first appeared in Strange Tales (June 1975). Gamora is the adopted daughter of the supervillain Thanos, and the last of her species. Her powers include superhuman strength and agility and an accelerated healing factor. She has appeared as the occasional love interest of the superheroes Adam Warlock and Nova, and a member of the group known as the Infinity Watch. 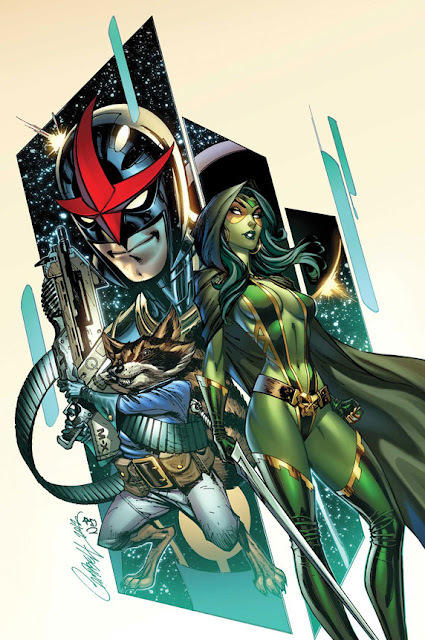 The character played a role in the 2007 crossover comic book event Annihilation: Conquest, and became a member of the titular team in its spin-off comic, Guardians of the Galaxy. She has been featured in a variety of associated Marvel merchandise, and is set to appear in the 2014 live-action film Guardians of the Galaxy....More about Gamora Character Review...Keep reading !! Gamora received treatments from Thanos that enhanced her speed, strength, agility, and durability to rival Adam Warlock's (to better slay the Magus, his evil future self). Thanos also helped her become a formidable hand-to-hand combatant, trained in the martial arts techniques from various planets, in the uses of the known weaponry of the Milky Way Galaxy, and stealth techniques. She is also a highly skilled gymnast and assassin, and formerly possessed a telepathic link to Thanos. She uses a wide variety of weaponry, most notably a dagger whose unknown properties made it capable of slaying even beings of such godlike power as Thanos and the Magus. Gamora is one of the most skilled martial artists in the Marvel Universe. She is capable of defeating opponents who possess superhuman strength and durability that far surpass her own, and she has defeated a military platoon containing dozens of combat-trained men in only a few minutes. She has learned to paralyze or kill opponents using vital point strikes directed at certain nerve clusters. Although skilled in the use of most conventional weapons, she prefers to use knives and swords. While Gamora was with the Infinity Watch, she possessed the Infinity Gem called the "Time Gem". The gem was mentally linked to her, giving her the potential power to control time. She said that she did not know how to employ its powers and preferred not to use it. While she possessed the Time Gem, Gamora was prone to precognitive dreams and visions, though she had no conscious control over them. 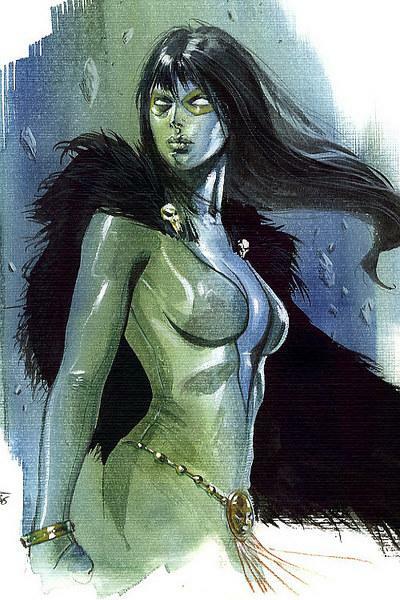 Gamora makes a non-speaking cameo appearance in the animated direct-to-video film Planet Hulk. 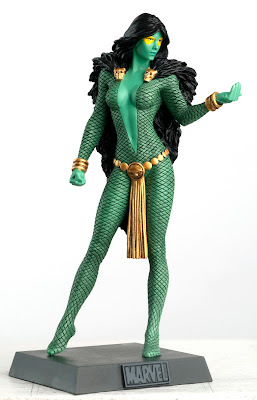 Zoe Saldana entered negotiations to play Gamora in the Marvel Studios film Guardians of the Galaxy in April 2013. The film is scheduled for an August 1, 2014 release.